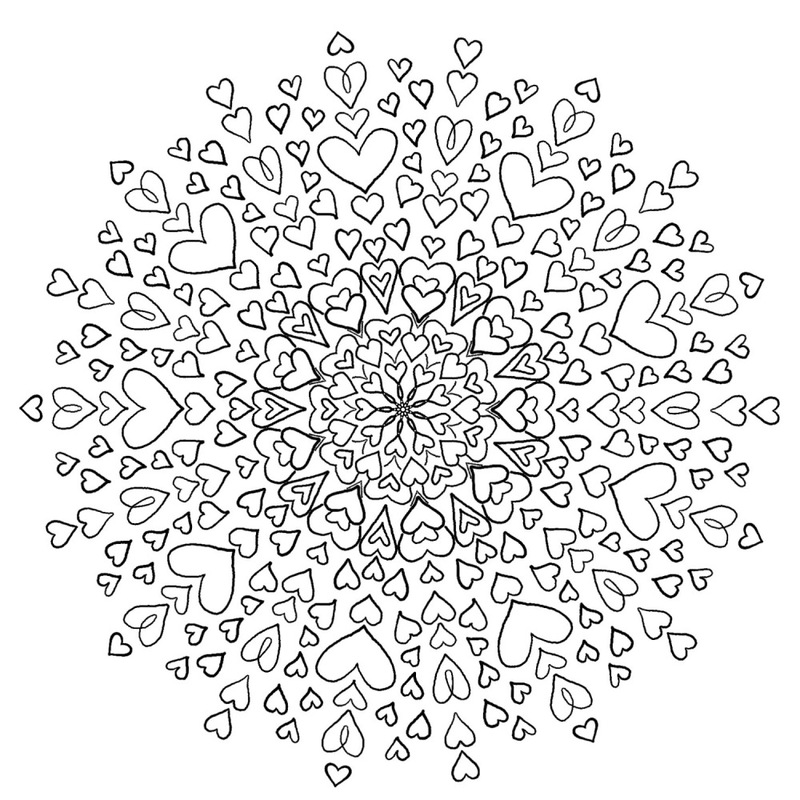 Love mandalas? Color the Love mandala 🙂 I did just that. Begin coloring at the center and proceed outward. Continue beyond the graphic adding your own hearts radiating love in all directions!